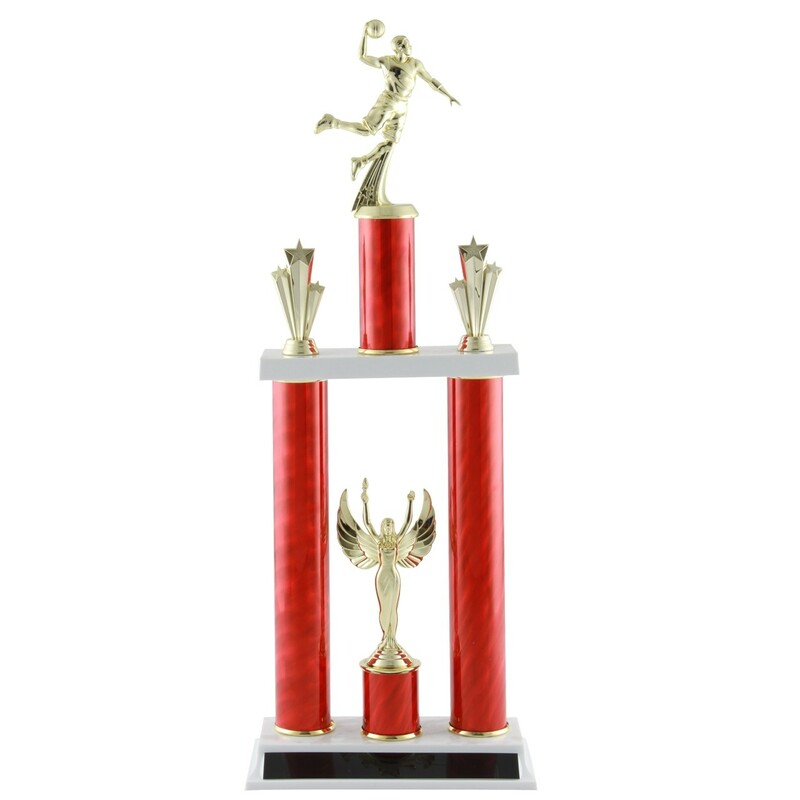 Your competition will be a hit with our Male Basketball Tournament Trophy – 23”. Hurricane swirl columns in your choice of color give height to a 6 inch boy basketball player and shooting star trim. On the bottom between the columns is a winged victory figure. At 23 inches tall, this trophy will thrill your winner! 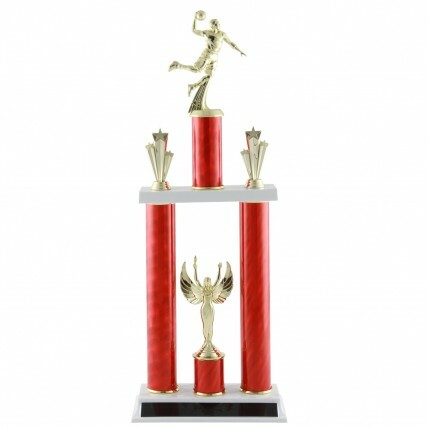 Deluxe Male Basketball Tournament Trophy - 22.5"
Deluxe Male Basketball Tournament Trophy - 19.5"